Minecraft Super Plus Pack includes: Explorers Pack, which consists of: Chinese Mythology Mashup, Natural Texture Pack, Biome Settlers Skin Pack, Battle and Beasts Skin Pack, and Campfire Tales Skin Pack. Plus Super Duper Graphics Pack - This is Minecraft like you've never seen before. Enjoy free updates and explore endless community-made maps, minigames and more! Customize your game with add-ons or boost its looks with enhanced graphics. 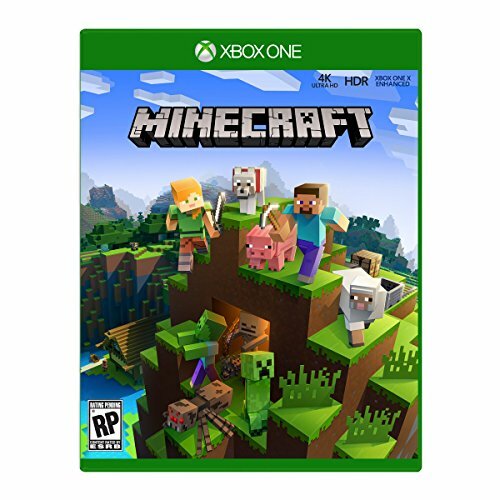 Games play better on Xbox One X. Minecraft Super Plus Pack is enhanced to deliver the best in true 4K gaming. CREATE. EXPLORE. SURVIVE. Minecraft is a game about placing blocks and going on adventures. Build anything you can imagine with unlimited resources in Creative mode, or go on grand expeditions in Survival, journeying across mysterious lands and into the depths of your own infinite worlds. Will you hide from monsters or craft tools, armor and weapons to fight back? No need to go alone! Share the adventure with friends in split-screen multiplayer and online!